Taken in 1862, the year after Gabriel Read discovered gold, this photograph shows a moonscape of pitted earth. Miners dug down to 4 metres and raised up the gold-bearing gravels using devices called whips – a counterbalanced mānuka pole with a bucket on the end. 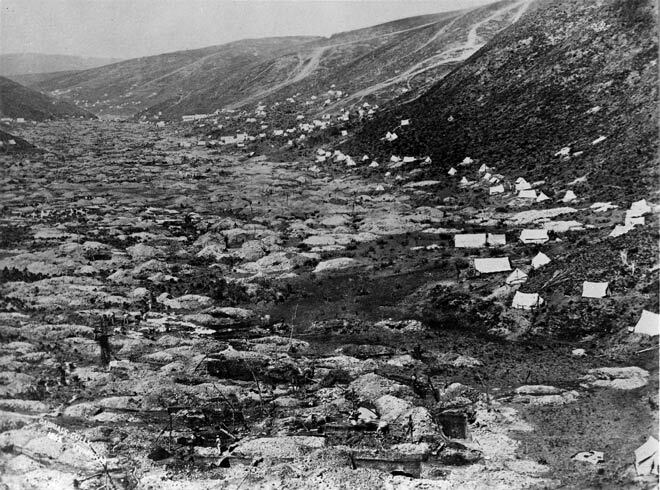 The miners’ calico tents hug the sides of the hill away from the claims. It was Read’s discovery that led to the great Otago gold rushes of the 1860s.